Our puppies are doing well, they eat and sleep. 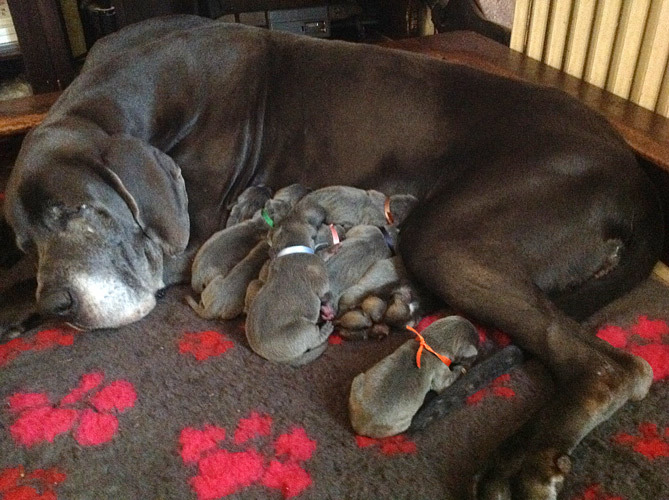 As usual, we have put coloured collars to the puppies so we can easily recognize them and register the daily weight. Today their weights go from 0,8 lb. of the littles girl to 1,5 lb. of the biggest male.